UPDATED: Sat., Sept. 9, 2017, 10:58 p.m. Defensive tackle Hercules Mata’afa, linebacker Frankie Luvu and free safety Robert Taylor combined on WSU’s first defensive touchdown since 2015. Mata’afa burst up the middle and hit Boise State quarterback Brett Rypien a split-second before Luvu arrived to finish off the former Shadle Park High standout. Rypien lost control of the ball and Taylor scooped it up for an easy 7-yard touchdown return. The TD knotted the contest at 7 with 4:47 left in the first quarter. Taylor was ejected for a targeting penalty in the second half of last year’s season opener against Eastern Washington and missed the first half of the Boise State game. WSU’s last defensive touchdown was on Shalom Luani’s 84-yard interception return against Oregon State in 2015. 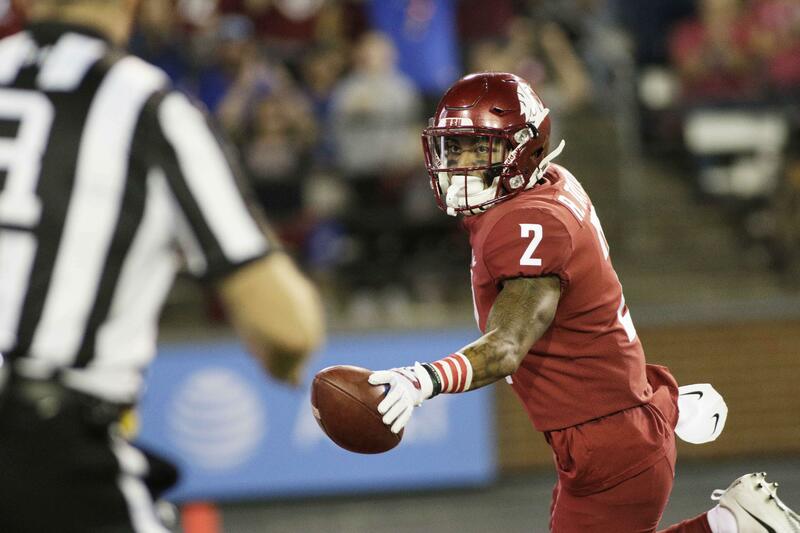 The Cougars added a second defensive touchdown in the fourth quarter on Peyton Pelluer’s 36-yard interception return that helped spark WSU’s fourth-quarter rally. The last time WSU scored two defensive touchdowns in a game was in 2013 when Damante Horton and Casey Locker each returned interceptions for touchdowns against Utah. Published: Sept. 9, 2017, 9:32 p.m. Updated: Sept. 9, 2017, 10:58 p.m.